Apps, loyalty programs, and cold brew — Dunkin’ Doughnuts’ latest innovations may seem familiar. It’s because they’re coming right out of Starbucks playbook. On Monday, Dunkin’ Doughnuts launched a new app that allows loyalty-program members to order and pay via mobile, then cut the line to pick up their items. It’s a system reminiscent of Starbucks’ app, one of the most successful in the food and beverage industry. However, the new app isn’t the only area where Dunkin’ Doughnuts is taking notes from the 23,000-plus location chain (Dunkin’ currently has about 4,100 locations). Here are three ways that Dunkin’ is learning from its coffee competition, as well as how the coffee-and-doughnut chain is trying to set itself apart. 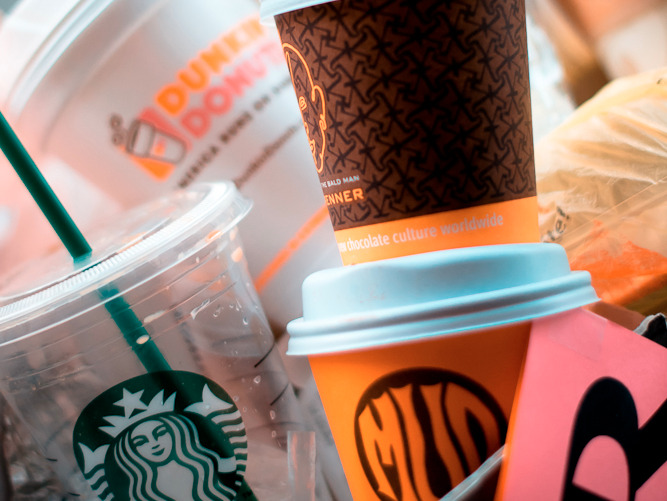 Both Dunkin’ Doughnuts and Starbucks are grappling with the same issue when it comes to beverages: finding the balance between sweet and snobby drinks. Starbucks has recently debuted a number of gourmet offerings, including nitro and vanilla sweet cream cold brew, and it looks like Dunkin’ may be following suit. 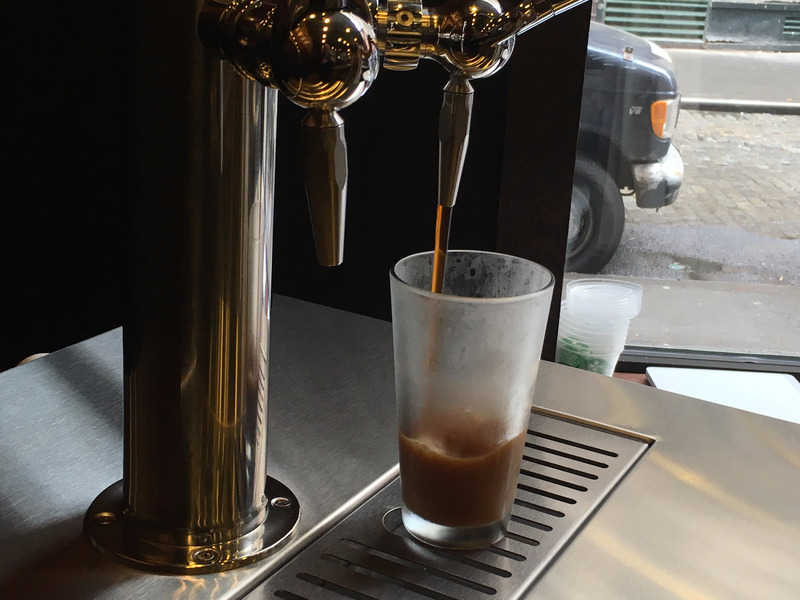 Dunkin’ Brands CEO Nigel Travis told Business Insider that espresso drinks are an increasingly large part of its business, and that the chain is exploring options like cold brew and nitro cold brew. 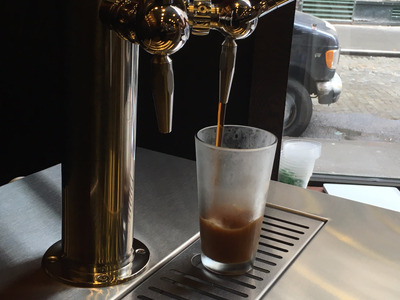 These are drinks that go beyond traditional iced coffee — cold brew takes 12 to 24 hours to brew, while nitro cold brew takes the slow-brewed beverage and infuses it with nitrogen to create a creamy, foamy drink. Currently, Dunkin’ Doughnuts is testing cold brew in three markets, and, assuming the test goes well, Travis says there is a good chance it could become a national menu item. 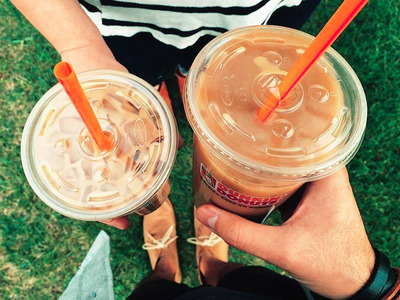 At the same time — much like Starbucks’ Frappuccinos — sweet drinks such as the Coolatta and new flavored coffees like the Hershey-inspired Almond Joy and Heath are key to Dunkin’s business. 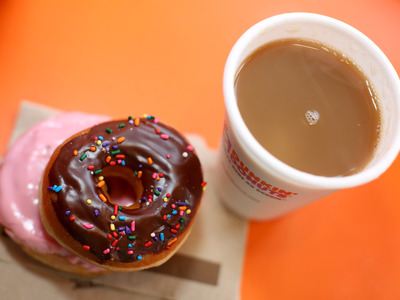 Dunkin’ is currently in the early days of a five-part plan to increase same-store sales. Last quarter, same-stores sales of locations open at least 18 months increased 2%. Dunkin’s new app allows customers to place on-the-go orders up to 24 hours in advance, skipping the line to pick up the orders inside the restaurant or via drive-thru. Payment is automatic, using the Dunkin’ Doughnuts card through the app. When discussing a coffee chain’s app, it’s hard to avoid mentioning Starbucks — the industry leader in digital, with 24% of orders made via mobile. However, Dunkin’ would be averse to saying it copied Starbucks’ app. For one, the chain says that its system has speed the competition lacks. Plus, Dunkin’ says its app offers thousands of variations, which customers can save at a variety of different stores. 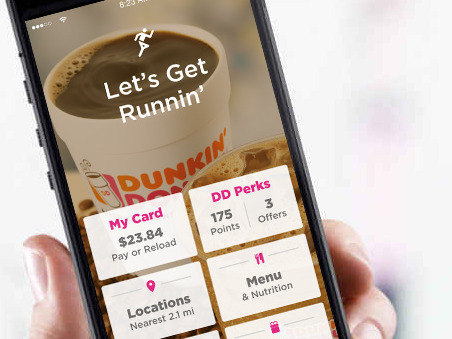 Dunkin’ hopes that the new app will give its loyalty program a major boost, as the only way to use the app (and skip the line) is to become part of the DD Perks program. Dunkin’ Doughnuts loyalty program currently has 4.6 million members, compared to the more than 12 million Starbucks’ Rewards members. This isn’t Dunkin’s first move in recent months to grow its loyalty program. The chain has been openly eager to cash in on customers’ dissatisfaction with recent changes to Starbucks’ rewards program. 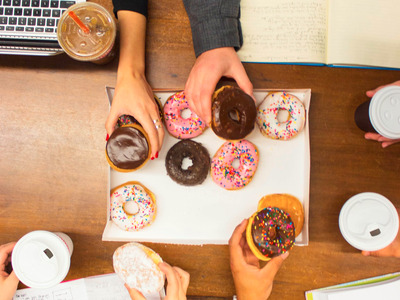 “I’d also like to point out that we’ve been very opportunistic in the face of a competitor’s changes to their loyalty program about pointing out the benefits of our program,” Travis said in an investors call in April, referring to Dunkin’s push to convince customers to join its rewards program following backlash against the Starbucks Rewards revamp. Dunkin’ Doughnuts hopes that its unique take on loyalty programs, which include what The Motley Fool calls an “everyman” approach to rewards, can help convince customers to make the switch from Starbucks to Dunkin’ in their regular coffee runs. While Dunkin’ is clearly taking notes from Starbucks, from tech to menu items, the chain also wants to prove it’s not simply ripping off its rival. Dunkin’ Doughnuts wants to take over the coffee industry with efficiency and inexpensive options — plus a few Starbucks-tested secrets to success.